Traffic stops are one of the most common ways in which ordinary citizens interact with active duty police officers. However, many citizens aren’t aware that while you are pulled over for a traffic stop, the officer can choose to follow up on other suspicions, such as searching your car or checking your immigration status. If you are pulled over for a traffic violation that leads to a charge for a more serious crime, it is essential to hire an experienced criminal defense lawyer to handle your case. Your lawyer will examine the traffic laws cited for your stop to determine whether the officer had legal grounds to pull you over. Knowing the most common traffic violations is an excellent way to protect yourself from traffic stops. By observing simple traffic laws, you will avoid the attention of law enforcement officers. If you are pulled over and charged with any type of serious offense as a result, your attorney’s first course of action will be to determine the reason for your traffic stop and its legality, as this can play an important role in your criminal defense case. Some of the most common traffic law violations include speeding, failing to signal a turn or lane change, wide turns into a lane other than the first available lane, and running red lights and stop signs. 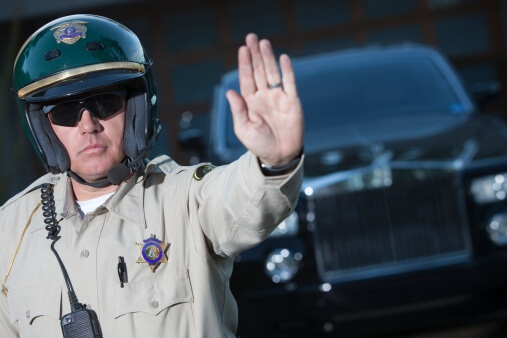 Taking care to observe these basic traffic laws will thus significantly reduce your chances of a traffic stop that may lead to a more serious situation. Always following posted signs and obeying lighted signals, including those at crosswalks and school crossings, is the best way to protect yourself and your rights on the road. The law office of Steven D. West, P.C. is dedicated to serving the Tucson area with experienced representation in all criminal defense cases. Please visit our website to find out more about attorney Steven D. West, or call us today at (520) 623-4387 to request a consultation.